Threadgills is known as one of Austin, Texas best place to eat. They understand what makes Texas cooking so special. 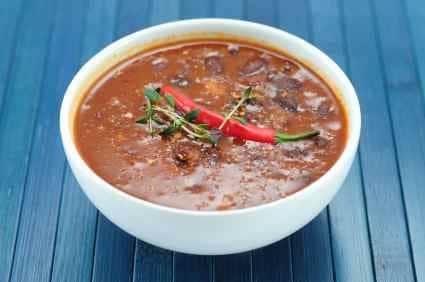 Here is their recipe from their cookbook for their Chili Beans. Make these classic Threadgills Texas Chili Beans at home. Okay, you soak the beans in 3 quarts water? or do you cook the beans in 3 quarts water with the other ingredients? What is “chili sauce”? Chili powder is in a million recipies but this is the first I’ve heard of chili sauce. Chili sauce is a condiment. It is sold next to the cocktail sauce in a grocery store. This was fabulous! We all loved it. I will be making this again!